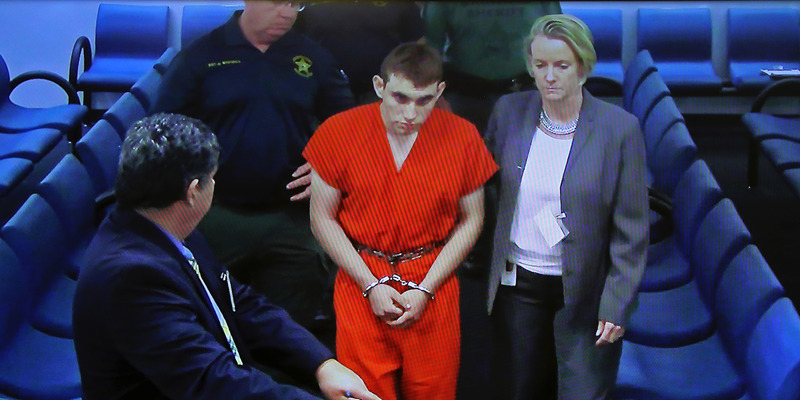 South Florida Sun-Sentinel/Susan Stocker via Associated PressA video monitor shows school shooting suspect Nikolas Cruz, left, with public defender Melisa McNeille, making an appearance before Judge Kim Theresa Mollica in Broward County Court, Thursday, Feb. 15, 2018, in Fort Lauderdale, Fla.
Florida’s state social services agency investigated Nikolas Cruz in 2016 over violent social media posts. They closed the investigation after two months, determining he was a low risk. Cruz, 19, allegedly killed 17 people when he opened fire on the high school he once attended. Florida’s state social services agency had previously investigated Nikolas Cruz, long before he set foot on the Marjory Stoneman Douglas High School on Wednesday and allegedly gunned down 17 people. The Florida Department of Children and Families opened a file on Cruz in 2016 after being alerted to his Snapchat posts showing him cutting his arms and saying he wanted to buy a gun, according to a state report first obtained by the South Florida Sun-Sentinel. Agency investigators visited Cruz at his home and questioned him, ultimately identifying him as a “vulnerable adult due to mental illness” including depression, autism, and attention-deficit hyperactivity disorder, which he was medicated for. The report noted that Cruz’s mother attributed his behaviour to “a breakup with a girl.” It also documented one incident where Cruz drew a Nazi symbol and racial slur on his book bag, until his mother forced him to clean it off. She said Cruz told her he hadn’t known what the symbol meant. 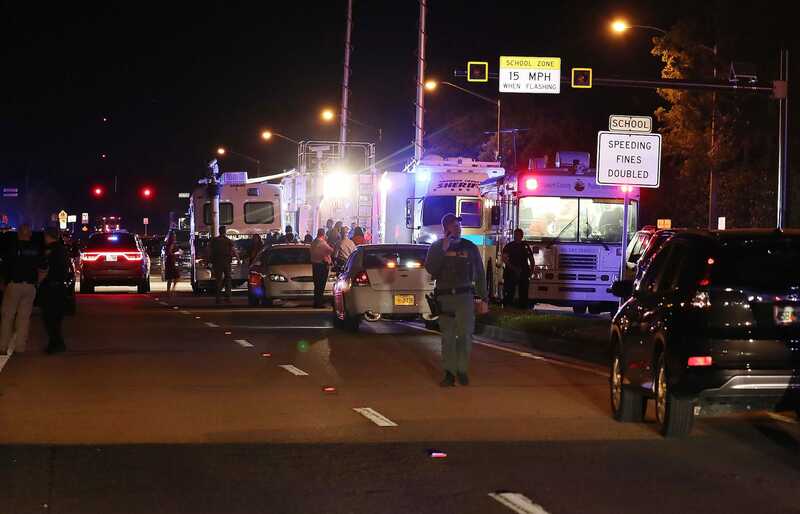 But by the time of Wednesday’s shooting, Cruz had lost access to at least two of those support networks – his mother died several months ago and he was expelled from his high school. It’s unknown if he was still seeing a counselor. Joe Raedle/Getty ImagesPARKLAND, FL – FEBRUARY 14: Law enforcement personnel work the scene at the Marjory Stoneman Douglas High School after a shooting at the school that killed 17 people on February 14, 2018 in Parkland, Florida. Numerous law enforcement officials continue to investigate the scene. News of the state investigation is just the latest in a series of revelations regarding Cruz’s disturbing past. The local sheriff’s office reportedly visited Cruz’s home at least 39 times in the last seven years, in many cases to deal directly with Cruz’s behaviour. The FBI also announced Friday that it failed to follow protocols after receiving a tip that Cruz had a “desire to kill people” and showed signs he might conduct a school shooting. Meanwhile, Cruz’s former classmates, teachers, and neighbours have all spoken to media in recent days about his history of talking about school shootings, getting into trouble, and harming animals, other people, and himself. “This kid exhibited every single known red flag, from killing animals to having a cache of weapons to disruptive behaviour to saying he wanted to be a school shooter,” Howard Finkelstein, the Broward County public defender, whose office is representing Cruz, told The Times. “If this isn’t a person who should have gotten someone’s attention, I don’t know who is. This was a multisystem failure,” he added.